Mongolia is the world’s second largest landlocked country. It is one of the last pastoral countries left in the world, with an economy dependent on pastoral animal husbandry and rain-fed agriculture, in addition to mining. Climate change has made the winters harsher and extreme weather events more frequent. On the edges of the capital city, Ulaanbaatar, one finds thousands of gers, weather-resistant, collapsible dwellings made of a wooden frame surrounded by felt. Former herders have been migrating to the city in the past three decades. As the city’s population is increasing, so does its physical footprint. Rapid urbanization, extreme weather events leading to pasture degradation, livestock loss, and increased frequency of forest fires, among other effects, not only make the country’s inhabitants more vulnerable to climate change, but also its socio-economic development. In October of last year, the Government of Mongolia hosted a Forum dedicated to Nationally Determined Contributions (NDCs) where over 200 participants engaged in a cross-sectoral dialogue, to gain understanding of the country’s status on climate change actions and climate finance potential. The Forum was also a starting point for discussing the creation of a robust coordination mechanism among ministries and national agencies, international development partners, and the private sector. Building on last year’s Forum, the Government of Mongolia’s Ministry of Environment and Tourism (MET), in collaboration with the NDC Partnership, hosted a workshop on 28 February 2018 with representatives from more than 10 line ministries, 15 international development partners, and five private sector stakeholders. The workshop’s goal was to jumpstart the development of the country’s Partnership Plan – an outline which reflects the government’s priorities matched to support provided by international development partners. Mongolia’s Special Envoy on Climate Change, Mr. Batjargal Zamba, briefly presented the country’s Intended NDCs (INDCs), and its gaps and barriers, including a lack of financial resources; advanced and new technology; weak disaster risk management; lack of a legal enabling environment; weak coordination and integration between sectors; insufficient human resources capacity; and an ineffective monitoring and tracking system for natural resources. He foresees an NDC update that is more ambitious and more realistic in terms of implementation, more streamlined with national development processes, and better integrated with other sectors. As workshop participants discussed outcomes and outputs of the government’s Partnership Plan, and support provided by various development partners, it became evident that an inter-sectoral coordination mechanism at all levels is necessary to implement, monitor, track, and achieve the country’s NDC. The importance of aligning NDC implementation with midterm policy planning for Mongolia`s Sustainable Development Vision 2030 was also emphasized. Policy coherence and coordination within government ministries and agencies is critical to realizing climate change commitments. Mutually reinforcing policies across government units creates synergies and ultimately makes objectives more achievable. Inter-sectoral coordination is a challenge – as acknowledged by workshop participants. However, they also see it as a necessity to accelerate progress on NDCs. From a donor perspective, coordination is vital to reduce fragmentation, as well as improve alignment of the recipient’s specific needs and administrative systems. Review progress on fulfilment of the commitments made in the Partnership Plan. MET is also considering taking advantage of modern technology by making this platform available online. 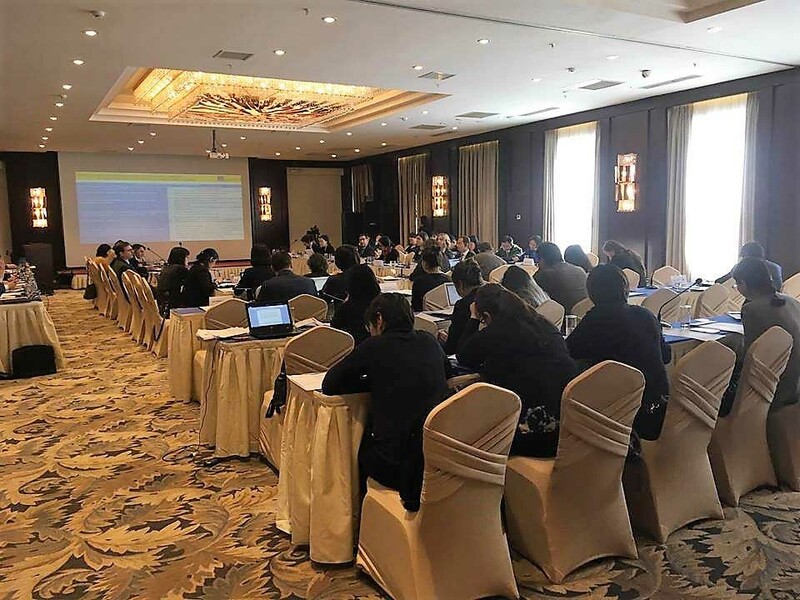 This workshop not only succeeded in creating a space for discussing outcomes and outputs of the Partnership Plan, it also succeeded in the introduction of a much-needed coordination mechanism to help accelerate Mongolia’s NDC. The NDC Partnership will continue to support the Government of Mongolia as it continues its dialogue with international development partners around NDC implementation. Watch a video about climate action in Mongolia.